VPC passed the inspection by the Seattle-King County Health Department. There is no evidence of VPC having filed for or received Building Permit Compliance to allow construction of the kitchen, the exhaust system, or other related components. Separate City department oversee health inspections and building code compliance. Both are critical. They are not interchangeable. Any change in land-use comes with a retroactive compliance. VPC’s request is no exception. 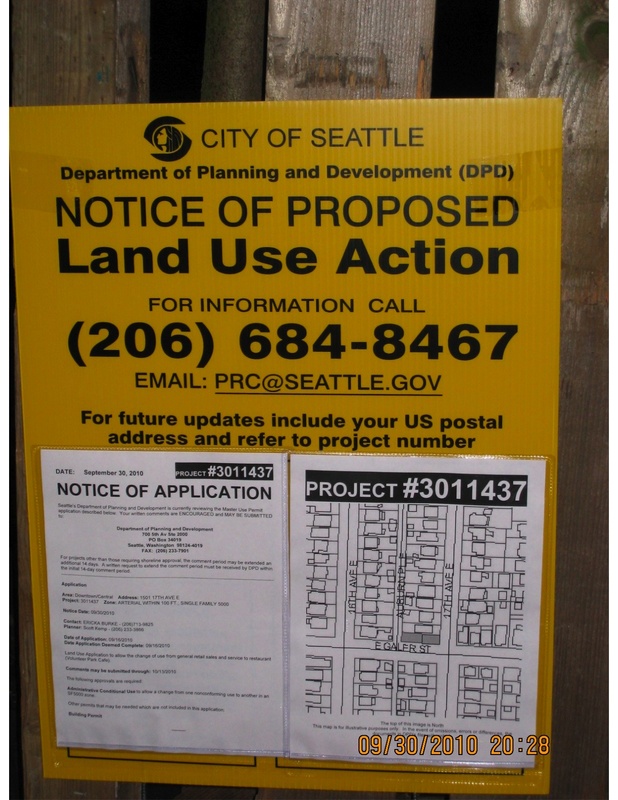 This stipulation is posted on the Notice of Proposed Land-Use Action (photo) that The Department of Planning and Development (DPD) placed on VPC’s fences during the public comment period. additional measures to reduce risk to firefighters and adjacent properties. With an apartment above and close proximity to single-family residences, VPC’s restaurant creates a significant risk that was not present prior to the creation of a commercial kitchen in the 100-year-old wood frame structure. Click here to read additional critique of VPC’s application. Coming Next: Odor Impacts. Please subscribe to our blog. Staff not permitted to serve (ie: carry out) anything to sidewalk customers. No alcohol at all is permitted outside 'grocery' space. 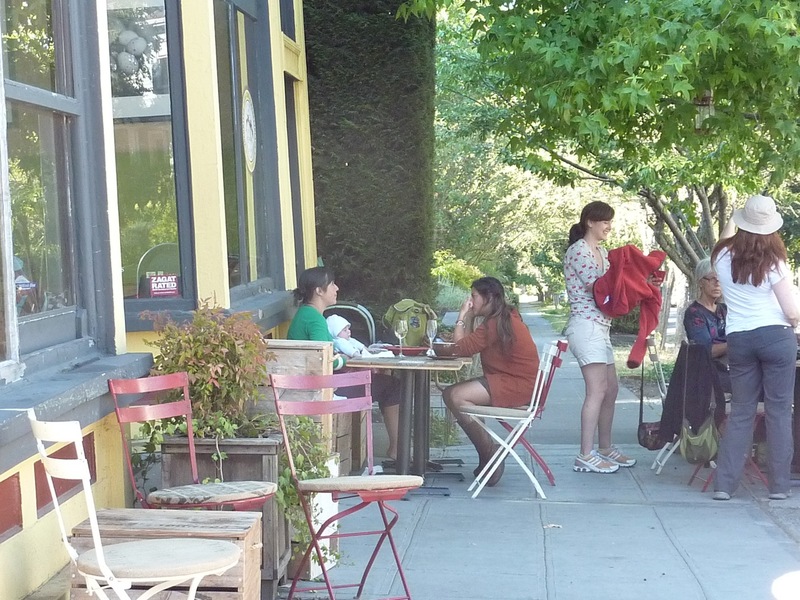 Volunteer Park Cafe has been open for more than 4 years without the required zoning permit. This includes nearly one year since the City identified it as a violator. The City is allowing the restaurant to stay open until it resolves it’s current land-use violation. The statement followed directly VPC’s zoning violation from The Department of Planning & Development (DPD). We have since learned that VPC has a long list of land-use violations. Reading it can be disorienting, especially for those who experience VPC solely as a well-looked-after customer. We have documentation for every claim. VPC opened as a restaurant without obtaining the necessary land-use approvals. in other words, VPC has operated illegally since the day they opened. 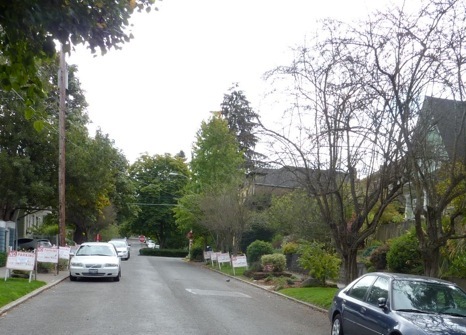 Their current location, 1501 17th Ave. E., is part of a Single Family 5000 zone (single-family residences on lots no smaller than 5,000 square feet). 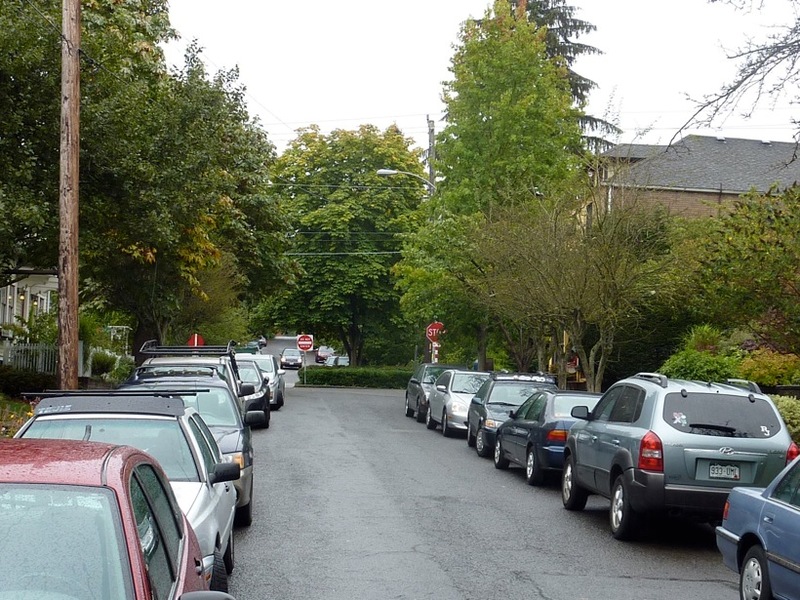 City of Seattle Land Use Code allows “non-conforming” uses under certain conditions. The only business approved for 1501 17th Ave E. is a grocery; this non-conforming use applies only to the inside of the first floor of the building. The second floor and back yard are ‘residential,’ in keeping with neighborhood zoning and land-use. VPC is currently seeking a land-use change to allow ‘restaurant’ use of the first and second floors of 1501. VPC made changes to the interior of the building, including construction of a new commercial kitchen. Permits helps ensure that fire safety and other codes are being met. Fire safety is one of our primary concerns, given the occupied residential units above the restaurant, and the proximity of VPC to our homes. Sidewalk tables ready for standard but illegal dinner service. When it opened in 2007, had no SDOT permit for sidewalk seating. Soon after opening, the restaurant began serving food and alcohol on the sidewalk front of the restaurant’s entrance. VPC applied for sidewalk permits in the spring of 2010. SDOT turned down the request. 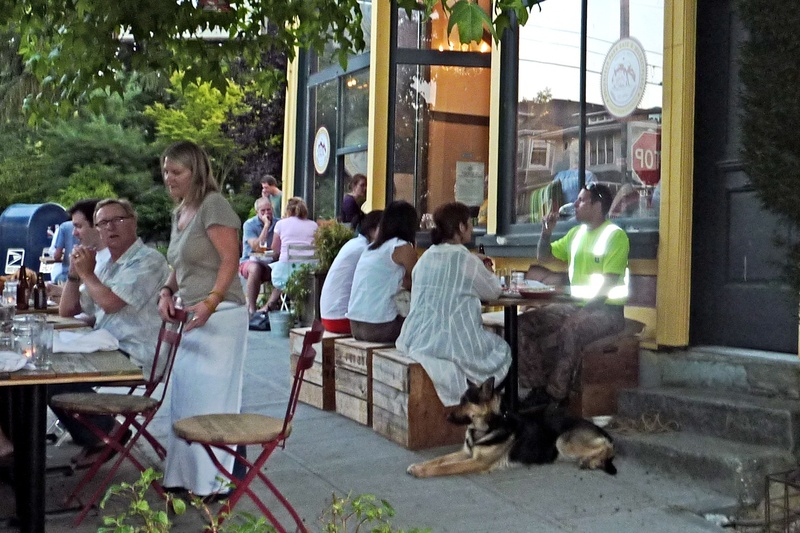 In August, 2010, VPC obtained sidewalk permits. VPC now has two (2) Street Use permits. One is granted for the area directly in front of the building’s entry on 17th Ave. East. The second is for the stretch of the building that runs along Galer. ¤ A maximum of four tables; two chairs each, open to the public. ¤ Pedestrian passage of 5’-0” maintained at all times. ¤ No service of food or beverage permitted. 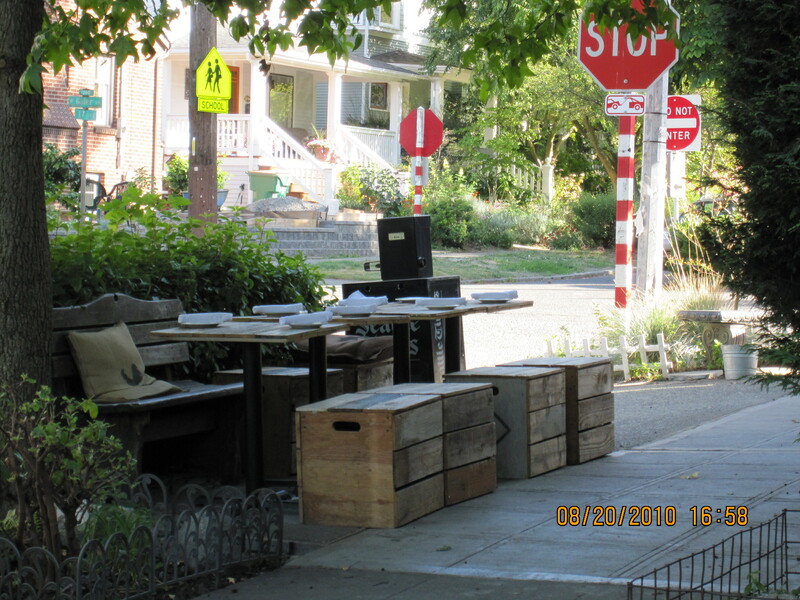 Through the summer of 2010, VPC’s standard sidewalk set-up used all tables and chairs on the front sidewalk (17th Ave. E.). This set-up violated the required 5-foot passage. VPC served lunches and dinners, including alcohol, in clear violation of the SDOT permit. 5. Misrepresentation on application for liquor liscence. VPC stated incorrectly that they were a legally permitted use. VPC failed to disclose their proximity to a school as required under the law. 6. In early 2010, VPC began building a patio area in the backyard with a clear intent to use it for commercial purposes. Again, VPC did not seek the necessary land use approvals. 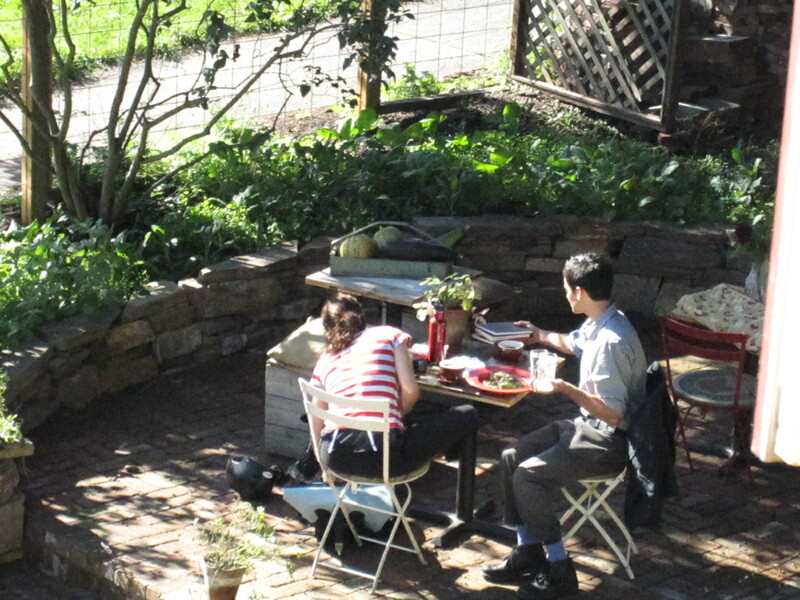 Oct. 12, 2010: illegal commercial use of back patio. Despite full knowledge as of spring 2010 that the patio could not legally be used for commercial purposes, VPC held backyard events on at least 3 occasions over the summer. 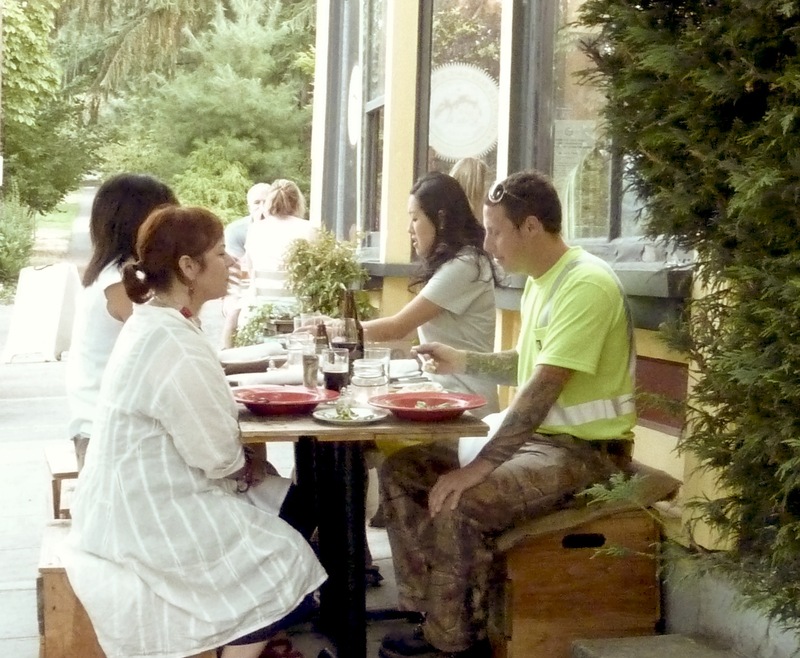 At this time VPC had not legalized their restaurant, let alone obtained legal land-use for commercial use of the patio. Violations continued even after VPC submitted the application stating that they did not plan to use the patio for commercial purposes. We have always been willing to live with — and enjoy — a legally compliant 40-seat restaurant, despite VPC’s impacts involving noise, traffic, parking, cooking odors, garbage overflows and more. We’re not willing to live with the possibility of 30 more seats on a patio or use of the 2nd floor, and the ensuing greater impacts on our families. DPD responds to latest patio misuse, 10/12. As updated here, yesterday, Seattle’s DPD responded to our concern that VPC was getting up to its old tricks, serving on the patio for which they are not zoned. VPC proved long ago that they get their way by getting away with the little stuff first. Right now, they have their hearts set on opening the back patio. Civilians shoot a bunch of pictures. A photo shoot is a commercial activity. VPC does not have zoning to use the patio for commercial purposes. Unless the upstairs residents invited those young people as their guests and VPC did not charge them for their food, they are customers. VPC is not zoned to serve customers on the patio. VPC is in the middle of a defining public process. Now is the time for them to demonstrate that they understand that mitigating their impact is critical to running a business in a residential neighborhood; that in fact, it is the only way they will be allowed to do so. Maybe VPC forgot to move the chairs. Maybe they forgot to lock the gates and someone saw the pretty set-up and thought it was OK to eat there. Maybe VPC forgot to mention to a customer who was heading out-doors with their VPC plate settings that dining on the patio was illegal. It sounds like VPC let them finish their meal. Hold VPC accountable for the business decisions that impact the neighbors. Perhaps accountability will give Ericka and Heather the motivation to move tempting chairs, to mention to customers that they are not yet allowed to eat outside. VPC’s application now public record. The application is not available on-line. Anyone wishing to review VPC’s proposal will need to truck on down to DPD’s Public Resource Center at the Seattle Municial Building. You want to read Project #3011437.